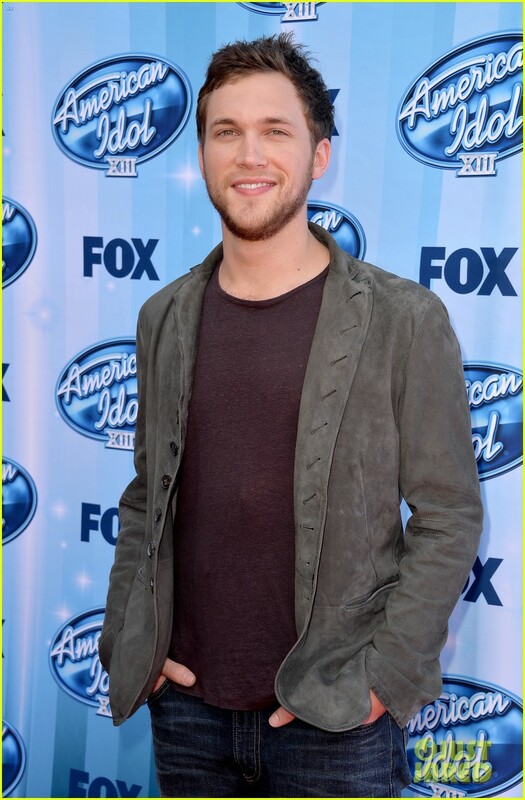 Phillip Phillips came back to the American Idol stage one last time to help say farewell to the show that introduced him to America and the world. Phillip’s appearance at the finale was confirmed only a few days before the show. To the joy of his many fans, Phillip no only came back but was part of one of the most special moments of the night, a tribute to the late David Bowie and some of his most enduring songs. 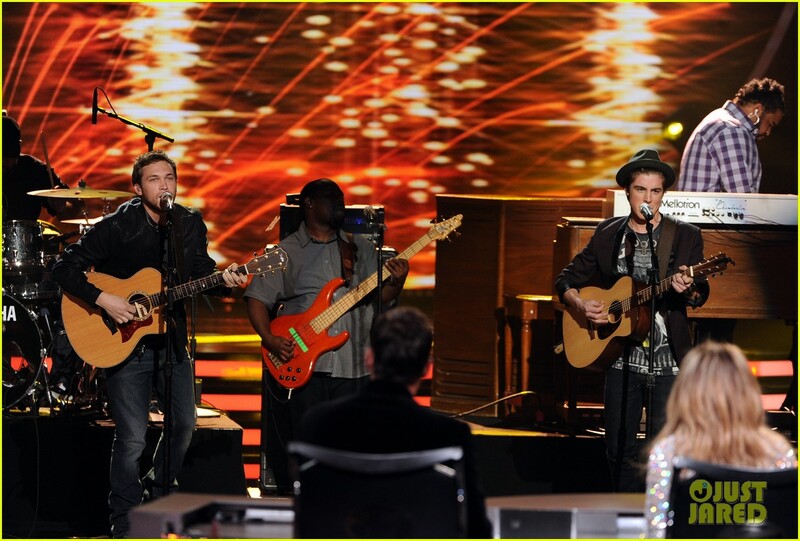 Phillip was joined by four other beloved Idol winners, David Cook, Kris Allen, Lee DeWyze, and 2015 winner Nick Fradiani. Emotions ran high in the days and hours leading up to the finale, which became a huge Idol family reunion, with all 14 winners and dozens of former contestants and crew members on hand to say goodbye to the show. There is no question that the show was live changing for many of them. As for the fans, I know we will forever be grateful to American Idol for introducing us to Phillip Phillips and his beautiful story and music. The legacy of the show lives on! Memories that will last a life time. 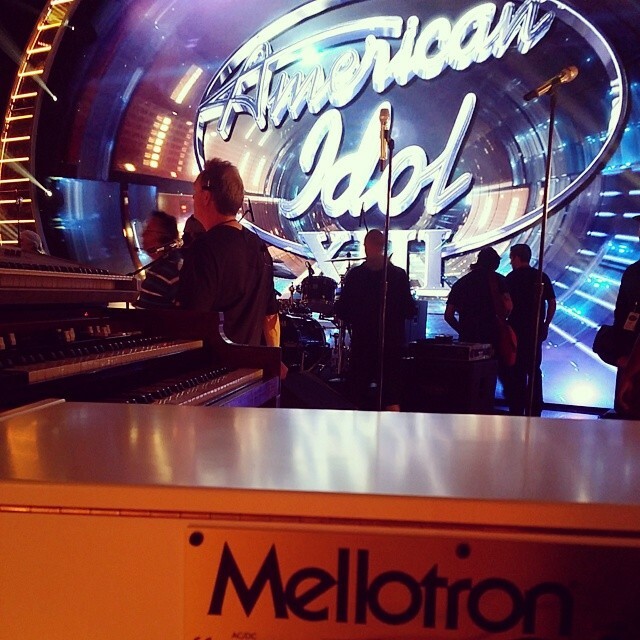 Thank you American Idol and all of the wonderful people I got to know through it. 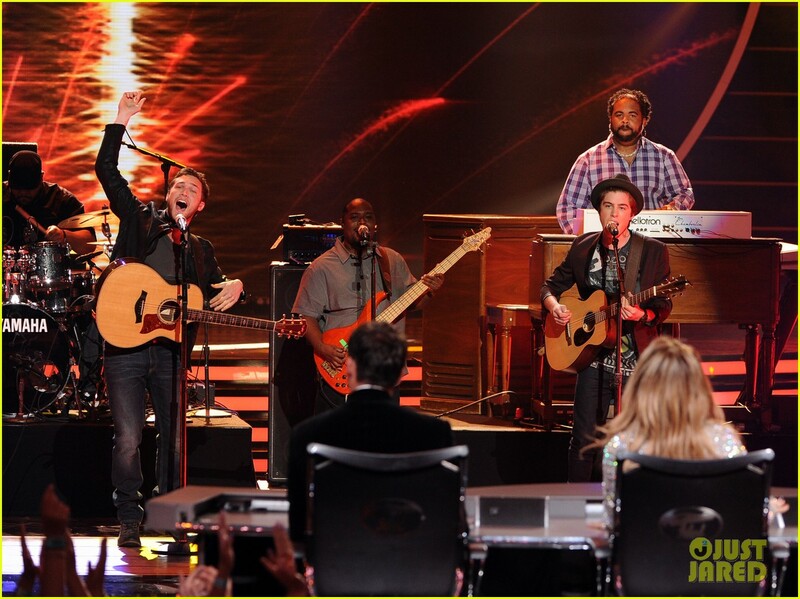 Watch the awesome performance by Phillip and company below! 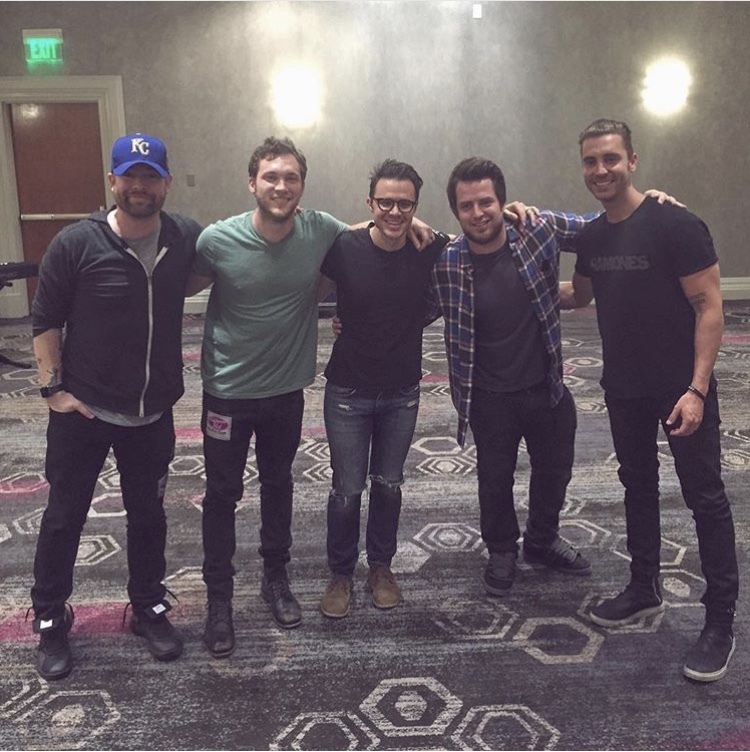 Phillip Phillips Files Petition To Break From 19 Entertainment – What Now? As many people are now aware (considering the news has made it to almost every major media outlet), Phillip Phillips has filed a petition to break from his management contract with 19 Entertainment. 19 Entertainment is American Idol’s show developer and co-producer. The Hollywood Reporter gave out the full details of Phillips’ claim through this link. I advise you to read this, as it gives full understanding to what Phillips is alleging. In the claim, Phillips alleges that 19 Entertainment has purposefully left him out of important aspects of his career, including the title of his sophomore album, Behind The Light. I remember this vividly, as we all found out the album title and the cover of the album before Phillips even knew about it. Someone found the album cover on a press release, and then hours later, Phillips announced it as well after finding out through media. He was told to do a concert for JetBlue, which he was not compensated for, as well as perform for corporate events for an “insurance company” that was stated as an endorsement deal. The reason it was stated as an endorsement deal, was so 19 Entertainment could claim a bigger pay-cut from this (a whopping 40%), as it would fall under the Merchandising agreement. This deal however, should have been done through a licensed talent agency, where the company should only take a 20% commission through the Managements Act. He is seeking to invalidate their management deals on the grounds that their personal managers procured employment for them in violation of the TAA, which states that only licensed talent agents can solicit employment for performers. Furthermore, 19 Entertainment told Phillips that he should use a producer for his album (we assume this is Gregg Wattenberg), which Phillips stated was a conflict of interests. He was also told that this producer would not receive huge royalties for his work, however this was false information. It was also stated in the claim that Phillips asked 19E several times to improve his contract, because of the successes that he brought to the company. We can assume that he wanted to work more under Interscope Records, his label, or be given more freedom with his work. However, these requests were either denied or ignored. Phillips claims that this is a breach of their fiduciary duty to always have the best interests in mind for their clients. His album was much more “pop-driven” that he had liked. This is not the first time that American Idol contestants have had trouble with 19 Entertainment. Both Kelly Clarkson and Fantasia Barrino have left 19 Entertainment and enlisted the help of another management company. Adam Lambert left 19 Entertainment. 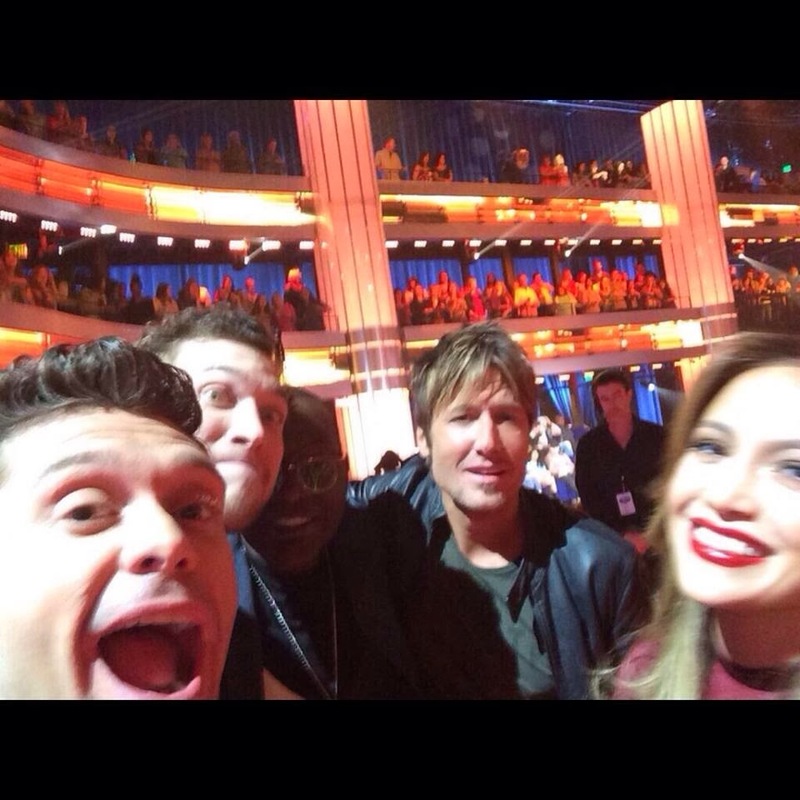 There are several instances where American Idol contestants want to get out of this contract immediately. It’s even been alleged (but not confirmed) that 19 Entertainment lengthened the contract after Kelly and Fantasia’s departure. What does this mean for Phillips’ future? It’s not entirely clear, but one would assume that his career would have to be put on hold, unless they can come to some sort of agreement while fighting in court. This is because 19 Entertainment controls the touring that Phillips does, as well as his recordings. 19 Entertainment has already released a statement, where they indicated they intend to fight with force. If neither party backs down, this fight in court could go on for several years before a decision is made. The latest artist to file a similar complaint is mega popstar, Ke$ha, who claimed that DAS, her management company, acted as an unlicensed talent agency. You can see that Ke$ha won her case, however only the parts of the contract that were illegal were voided. She was still obligated to work with the management company. You can view the full case and outcome here. This is completely absurd. When a contract is visibly one-sided (unconscionable), the defendant has a right to sue. He was given little artistic control (being forced to use a producer that conflicted his interests, not knowing his album title name, etc. ), forced to perform events with no compensation, and 19 Entertainment acted as a talent agency, by setting him up with live events. This is illegal. They are unlicensed. Plus, we fans know that Phillip is being directed more towards a Top 40/Pop route to generate success, which is not his wheelhouse at all. Though this is all speculation at this point, this is bad news to all of Phillips’ fans, as I do not think we will be getting anything major for a while. However, in this time, the most important thing we can do is support Phillips’ decision to fight for artistic integrity and control over his career. This is a very bold move for Phillips, as if he were to become victorious, it would become a precedent for future talent show winners and their contract negotiations. **Note: If you see any errors in information, please let one of us know. The point of this article was for Phillips’ fans to know as much about the case as possible, and what we can expect. I urge you to look over Phillips’ complaint yourself listed in the article. Thank you. Phillip Phillips fans waiting to hear news about possible tour dates in 2015 got some difficult news instead. In an article published January 26th on The Hollywood Reporter’s website we learned that Phillip filed a petition with the California Labor Commissioner regarding the contract he signed with 19 Entertainment as part of his American Idol win. 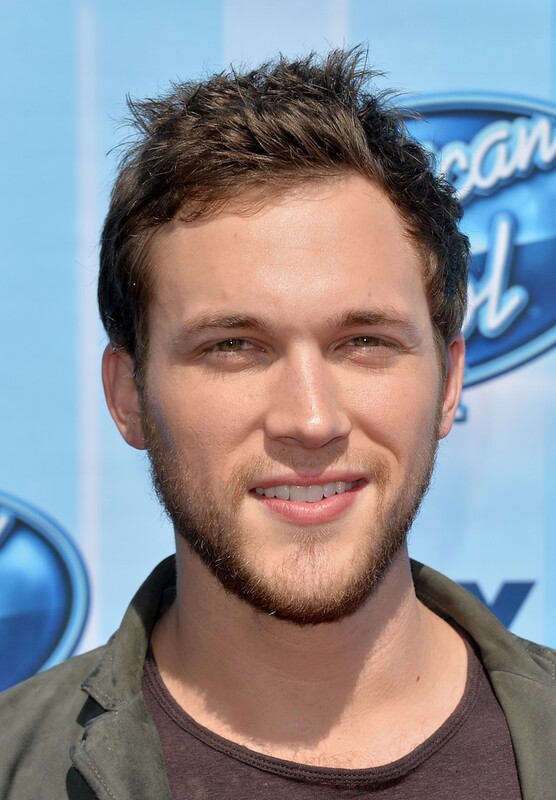 The article reveals that Phillip decided to file the petition based on a number of grievances and issues extending all the way back to his early days as an American Idol winner in the fall of 2012. From unfair financial compensation, to exploitative and manipulative deals made on Phillip’s behalf, the core of the complaints relate to multiple violations by 19 Entertainment of the California Talent Agencies Act. To understand what this means you need to read the petition, which clearly outlines what this “Act” is and how it was violated by 19E and all its affiliated companies. I read the document, and honestly, it was a very difficult read. Yes, the lawsuit is about unfair financial compensation and about actions deemed illegal by the Talent Agencies Act. However, at its core, it really is about an artist’s desire for integrity and respect, for true compromise and collaboration. It is about 19 Entertainment failing to care for and act on the best interests of Phillip, one of its most successful artists in recent times. This is no minor detail. It is, in fact, at the heart of the matter. One of the first words that come to mind when talking about Phillip and his music has always been “authenticity.” The quest for it, the importance that Phillip placed on maintaining it, has been evident from day one. It was evident throughout his run on American Idol where he never hid his unease with certain requirements he was expected to fulfill as a show contestant. He’s the guy who refused to wear the pretty clothes Tommy Hilfiger suggested he wear on that infamous early Idol episode. He’s the guy who, despite being repeatedly compared to Dave Matthews decided to play an obscure Dave Mathews song on the show. He’s the guy who, just after winning American Idol, politely declared that “Home” was a beautiful song but one that he would never have written himself. The guy who has refused to play in concert songs he feels don’t “best represent” his sound. The guy who showed you can win a huge pop singing competition while remaining completely and absolutely true to yourself. 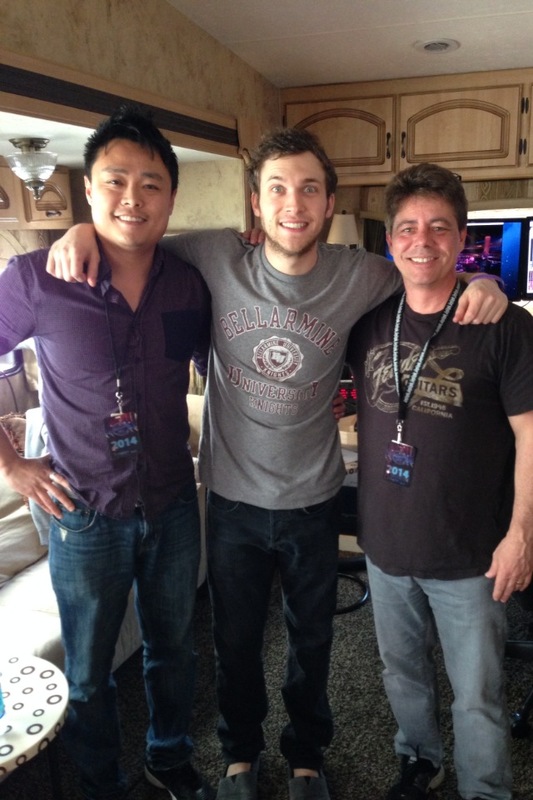 Authenticity is very important for Phillip Phillips. I remember clearly the day the title of Phillip’s second album, Behind The Light, was announced. He was set to play the last show of his Canadian tour in Vancouver, Canada. As he often does, he was also engaged to do an exclusive acoustic performance that morning before the main show. The news about the title broke mid-morning, just before the acoustic show. I had won tickets for that performance and remember thinking what a whirlwind of a day he was going to have. To learn that the title of that album was decided without Phillip’s approval and then announced to the press before notifying him is heartbreaking, outrageous. It must have been devastating. That day Phillip fulfilled every single one of his obligations as an artist on tour. He did the performance and Q&A. Then he did an exclusive photo session with a few people from the audience who had won a second contest. He was then quickly whisked away for sound check at the venue. There were probably interviews with the press in between all of that. He played a heartfelt show for his audience that night. And later, the hour nearing closer to midnight, he came out to greet a big group of fans who had waited for him to say Hi. I was grateful to him but also oddly distraught. It had been, I’m even more certain now, a very long day for him, and yet, he still took the time to come out. 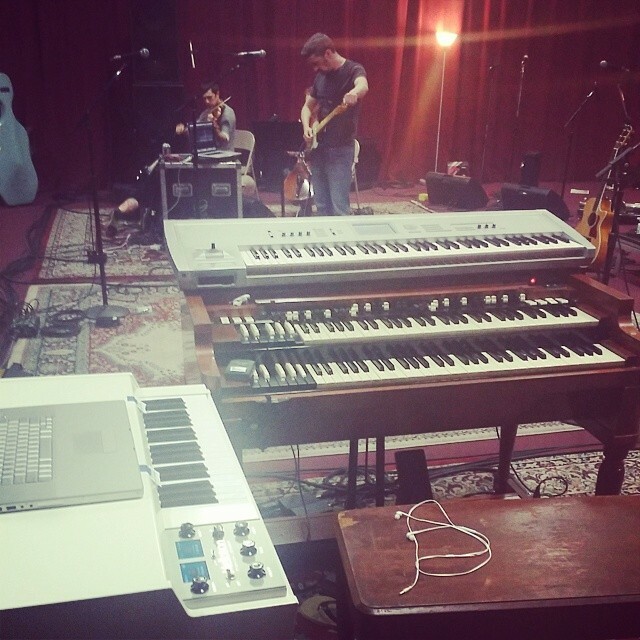 Phillip Phillips works very hard. The decision to break out of his contract is not one he must have taken lightly. He has shown–proven beyond any doubt–that he is ready to pay his dues and work himself to exhaustion. And then there is the matter of “style,” that slippery word that means nothing and everything at the same time. In Phillip’s case it has found its outlet in the albums, yes, but really and clearly through his brilliant, instrumental-heavy, jam inspired, live performances. Live performances that reveal his love of rock and fusion and experimentation, not really the folk-pop sound that two of his main radio hits, “Home” and “Gone Gone Gone,” favoured and that many people expected him to repeat on his second album. Of course, there is nothing wrong with pop and folk, other than these are not the styles that Phillip seems to hold close to his heart. Hence the unease and clear division that one can still hear between the singles and the B-sides on both of Phillip’s albums so far. To read that Phillip feels that 19 Entertainment failed to put his interests above their own, financially and creatively, shows again the terrible struggle this must have caused on somebody who values authenticity above all. The ramifications of this move on Phillip’s career are not very clear to me. I have no knowledge what legal consequences this may have on his ability to make music through an established platform, on his ability to perform said music through live shows, or his ability to move, in the short term, to a new management/label that will allow him to continue to work. What is clear to me is that, whatever the consequences, they will have no impact on my admiration and support of Phillip’s music and career. I know that the music will continue, and that I, as well as the majority of his fans, will find our way to it, as I’m sure Phillip will find his way to us. I think back to a comment Phillip used to make after winning the show to explain some of his song choices and decisions. He would say, and I paraphrase, that it was better to fail and know that you did because of something you believed in, did or say, than to fail because of something somebody else told you to believe in, do or say. Stand by your decisions, and, if you fail, own your failures. Your triumphs will then be all the sweeter, for they will have come from the deepest essence of your being. Also, there will be nothing left to hide. 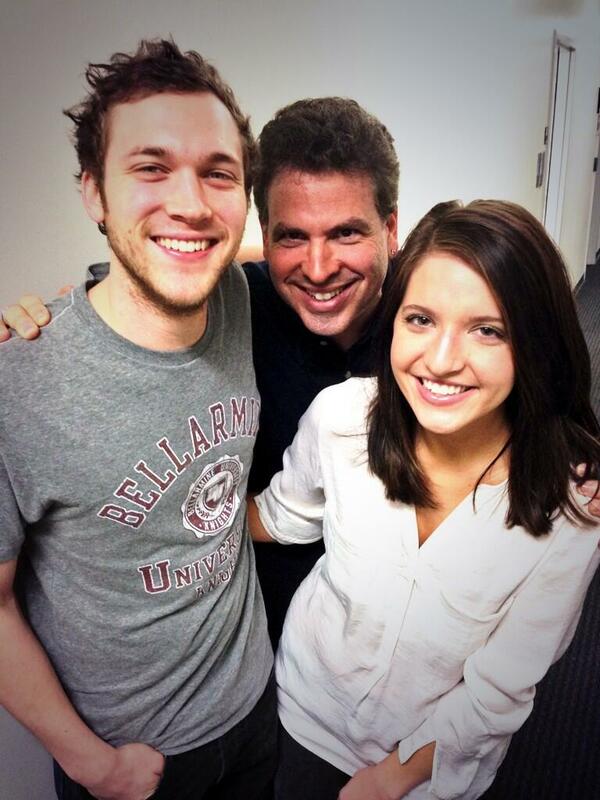 Phillip Phillips has nothing left to hide. 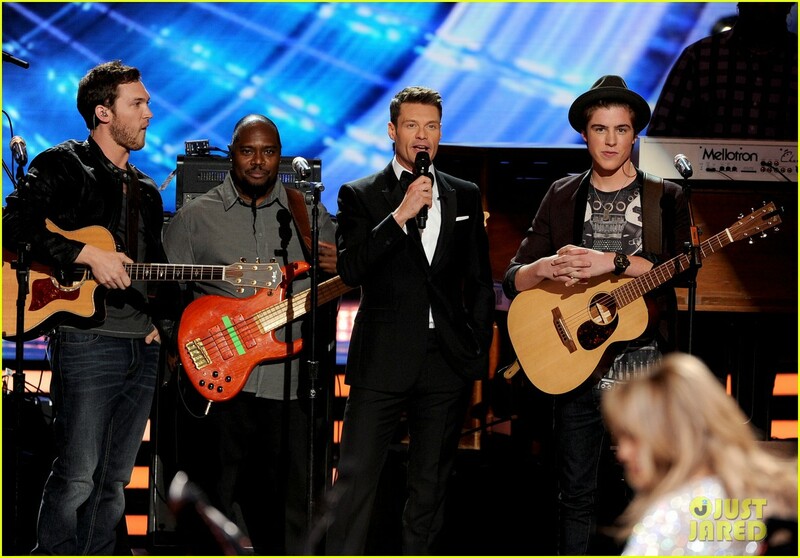 Phillip Phillips performed at the American Idol finale tonight, almost exactly two years after winning the title himself. 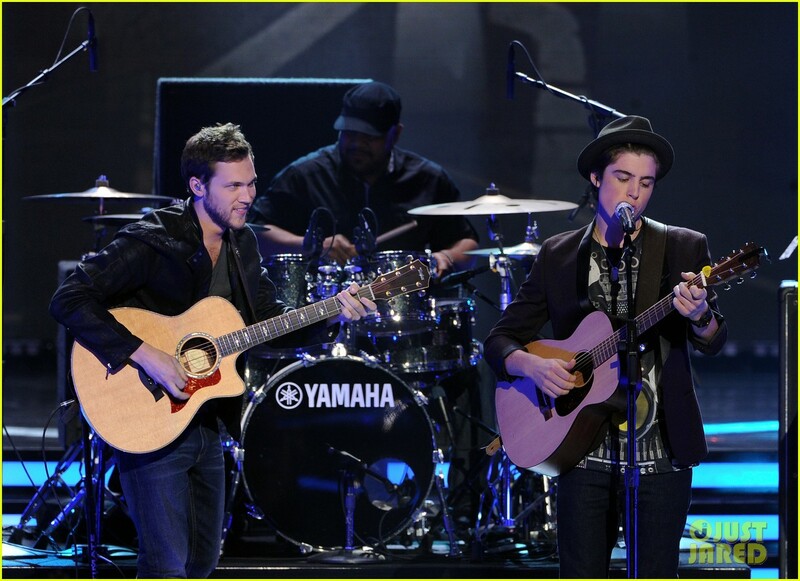 Phillip brought his whole band with him and shared the stage with Season 13 contestant Sam Woolf. Watch the amazing performance below! With only the weekend to go before Behind The Light is released on Monday, May 19th, Phillip is gearing up for a crazy week of promotion with several TV appearances lined up. 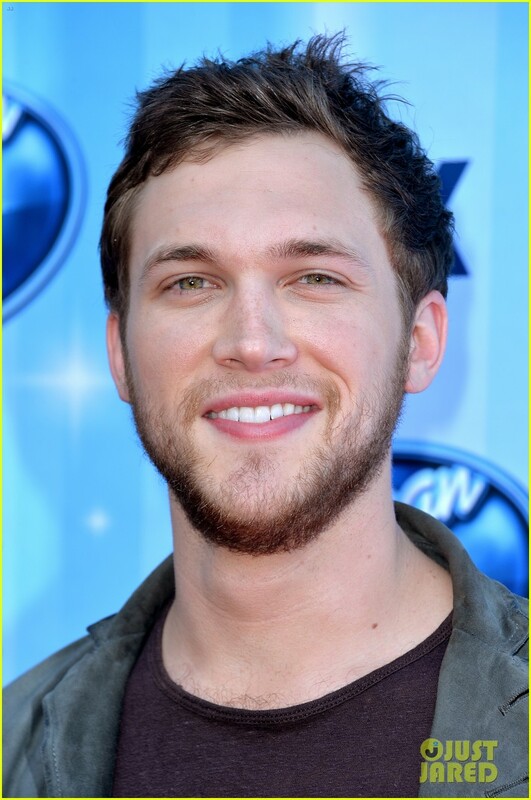 It all starts this Sunday, May 18th at the Billboard Music Awards, where Phillip will be a presenter. 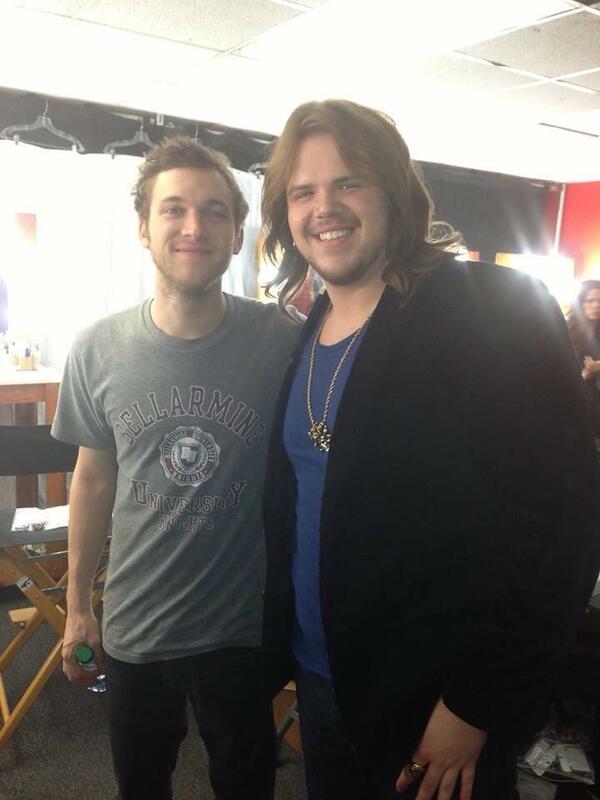 Then on Tuesday, May 20th Phillip will visit the set of Good Morning America to promote the album. 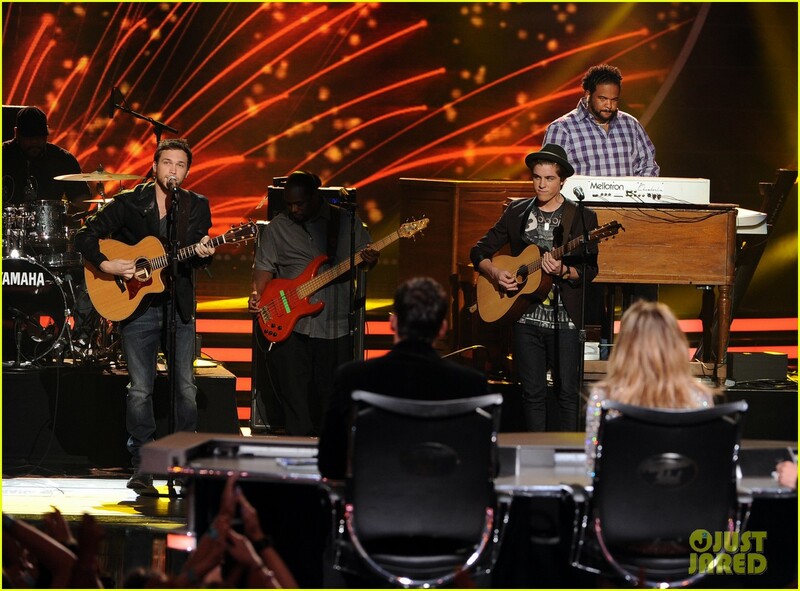 Even more exciting, on Wednesday, May 21st Phillip will be performing at the American Idol Finale, on Fox. And then on Friday, May 23rd, Phillip is scheduled to appear on Live! with Kelly and Michael. Phillip is also scheduled to perform on June 27th on the Today Show, as part of the Summer Concert Series. Check all the details below! 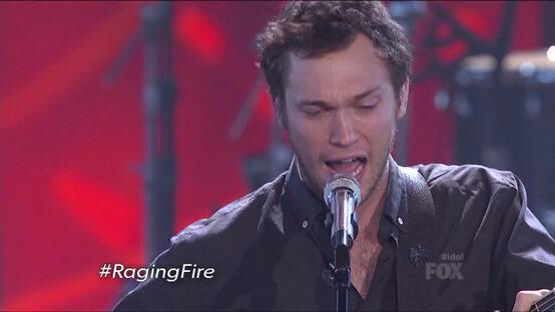 The theme was “Home” and Phillip went back home to the Idol stage tonight to debut his new single “Raging Fire.” Since it’s release on Monday, “Raging Fire” has earned rave reviews from fans and critics alike for its anthemic lyrics, beautiful strings arrangement and Phillip’s intense, heartfelt vocals. Though Philip has confessed many times that he “hates live TV,” his and the band’s performance tonight were flawless and a fantastic showcase for the song. This performance on Idol marks the start of another busy year for Phillip, who will kick off his first Canadian Tour this Saturday, March 8, in Halifax, Nova Scotia. So keep checking us out as we follow PP and band for the duration of the tour! 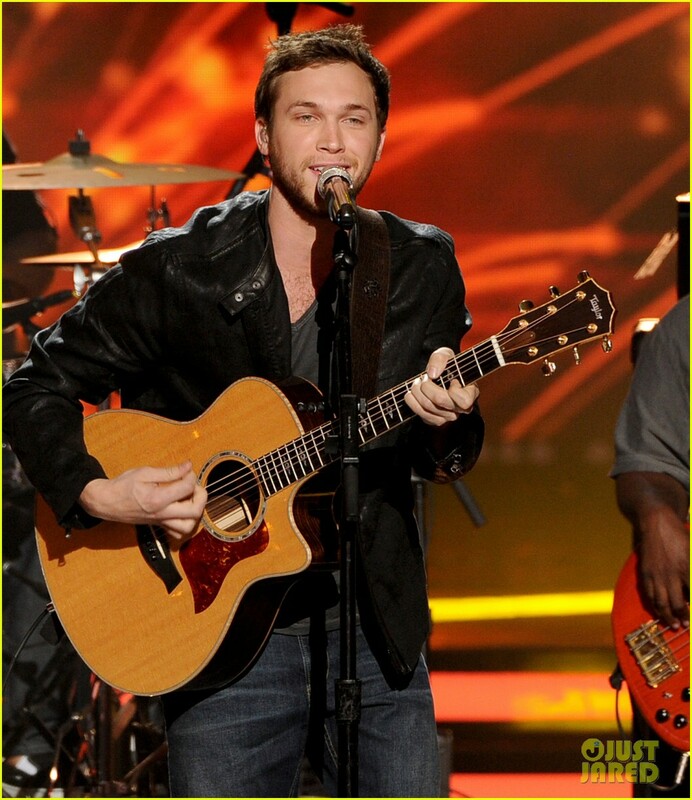 And check out Phillip’s performance of “Raging Fire” on idol tonight!